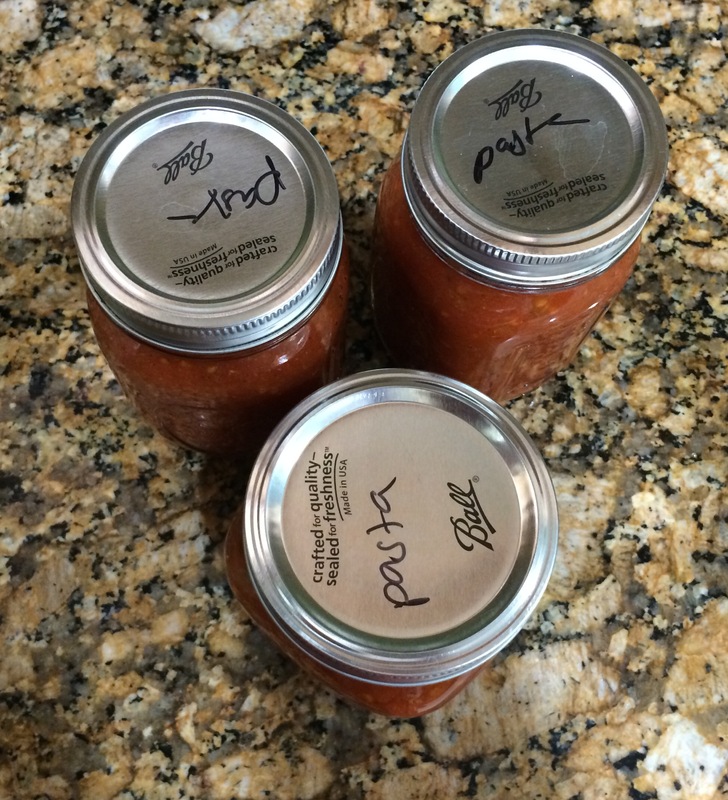 I stockpiled tomatoes so I could make some pasta sauce from garden goodies. I finally had enough, so last night I tried my hand at a new sauce recipe. Last year, all of my sauce was too watery. The new recipe was exactly the same. Soooo I took matter into my own hands. Instead of disregarding the peel and seeds, I separated the liquid and all the pulp. I then blended pulp in a food processor, seeds, peels and all. With this new, thicker tomato concoction, I slowly added the tomato juice back on until the sauce reached a good consistency. We had it for dinner tonight and it was delicious! I guess whatever works for me, huh? I got about 4 jars out of 8 lbs. 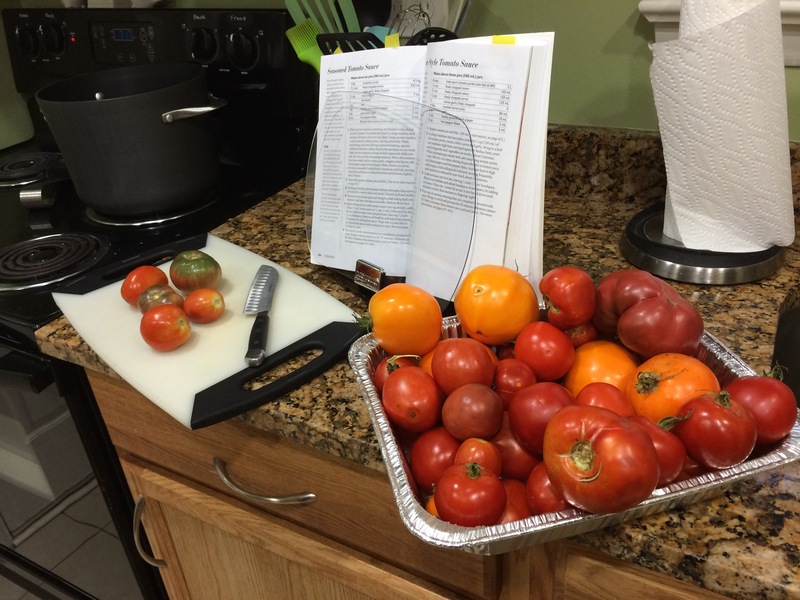 of tomatoes, which seems crazy. 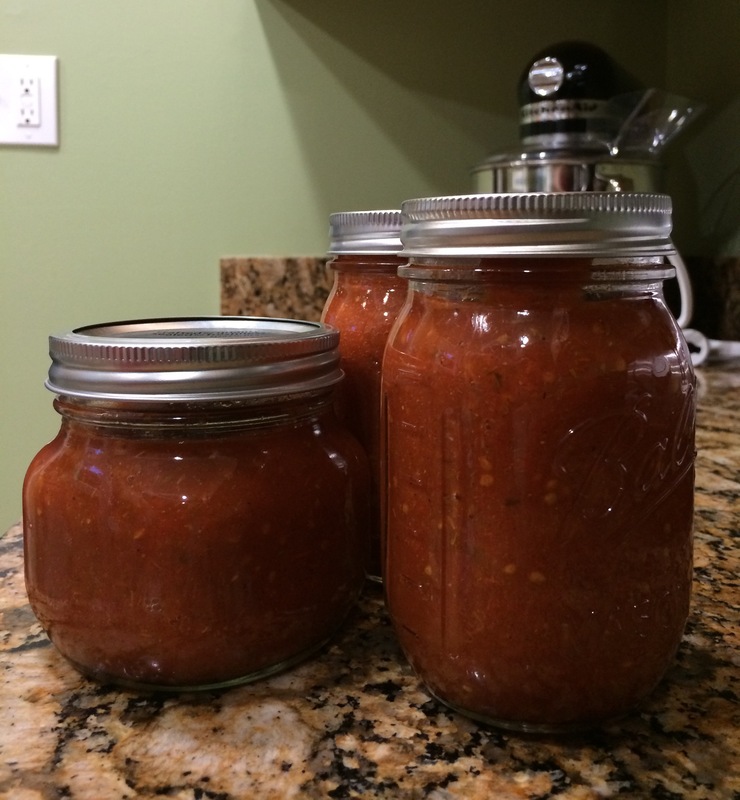 But considering I couldn’t eat all 8 lbs of tomatoes myself and I didn’t want them to go to waste, it’s a great way to use them even for only 4 jars!